IBM has been undergoing a major design thinking transformation, hiring 100s of new designers and radically changing the way they do business. They have recently opened a new Design Studio at their RTP site. 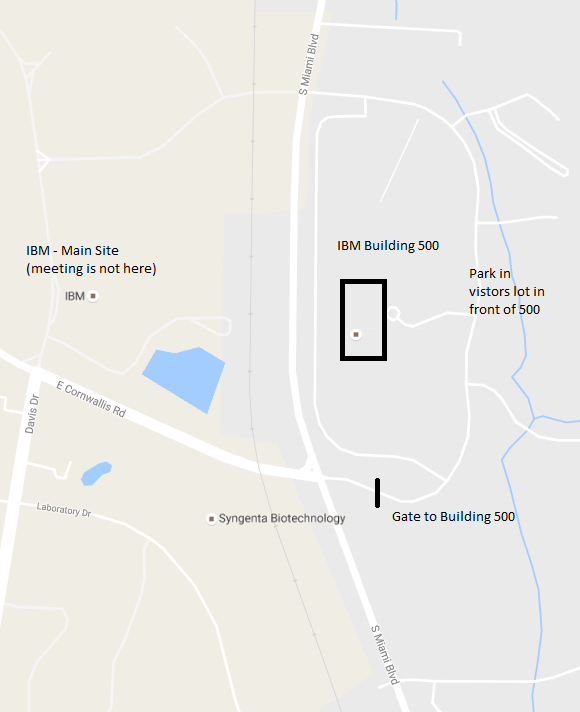 Steve Kim (IBM Studios Program Director, Head of IBM Studios RTP), Camillo Sassano (Industrial Design Program Lead and IBM Master Inventor) and Kevin l. Schultz (Senior Experience Designer and IBM Master Inventor), will be hosts for the evening. Activities include a tour of the studio and mission, a brief review of the history of the IBM Design Program (60th anniversary this year), an overview of IBM Design Thinking, and an intro workshop. Light refreshments and snacks will be provided. Free for members. $5.00 for non-members. Enter IBM's 500 Complex (not IBM's Main Site) at the intersection of S. Miami Blvd and Cornwallis, by going East on Cornwallis. The security gate should be up. Follow signs to park in the Building 500 Visitors Lot, and then walk to the Bldg 500 lobby. Note: Please register in advance, so that badges will be immediately available at the lobby - thank you.